Do you have some old jewellery or a family heirloom that needs redesigning? At Larsen Jewellery we can work with you to re-design and remodel your jewellery. It’s a wonderful opportunity for us to make you something truly unique. You are welcome to come into our design studio for an obligation free design appointment in a relaxed atmosphere. Our friendly jewellery designers will work with your ideas and draw up sketches to assist you with visualising the pieces before manufacturing. Please note that most precious metals cannot be melted and successfully reused, and not all heirloom stones can be reused or reset due to wear or damage. 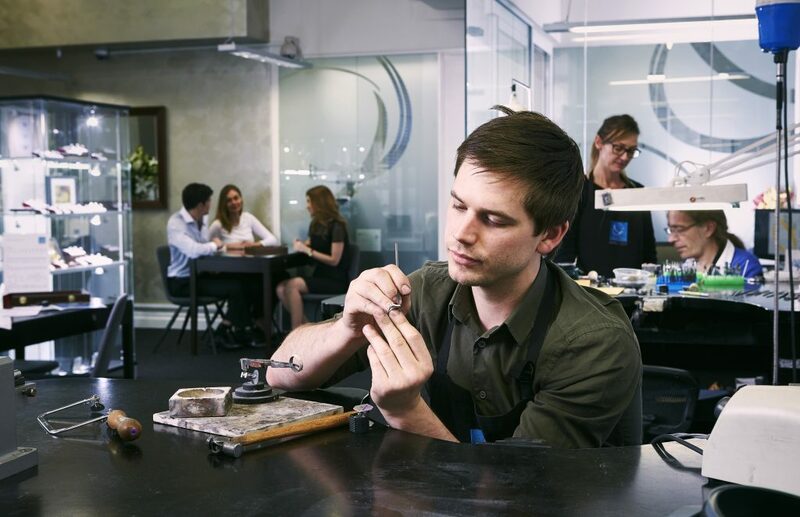 Our jewellers will be able to assess your jewellery and advise you on any risks, and tell you what is possible. Remodelling existing pieces of jewellery can reduce the cost somewhat if gemstones or metal can be reused, but because a large part of the cost of making a custom made piece of jewellery is the labour, the saving is sometimes not as great as people might expect. The sentimental value however is beyond measure.